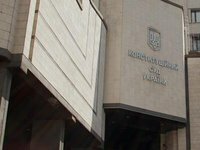 The Constitutional Court of Ukraine has ruled unconstitutional the article of the Criminal Code of Ukraine on illicit enrichment of officials, as its provisions violate presumption of innocence. A source in the Constitutional Court told Interfax-Ukraine that the court ruled unconstitutional Article 368-2 of the Criminal Code of Ukraine, as its provisions are not in line with the principles of the rule of law and presumption of innocence. "This conclusion is explained by the fact that the requirements of criminal legislation should be clear and unambiguous, because as a result of criminal prosecution the freedom of a person and his or her other constitutional rights and freedoms can be restricted," the Constitutional Court said. The Constitutional Court said that the legislative structure of Article 368-2 of the Criminal Code of Ukraine "permits accusations based on assumptions." In addition, it includes the provisions regulating the process of evidence, although this is related to the criminal procedure law. In addition, the Constitutional Court said that the legislative definition of "illegal enrichment" as a crime makes it possible to shift this responsibility from the prosecution to the defense. "At the same time, the suspect or the accused person should not prove the legitimacy of the grounds for acquiring the relevant assets. They can provide evidence of their innocence only on their own will or not provide them at all," the Constitutional Court said. The Constitutional Court said that presumption of innocence requires the state to prove the guilt of the accused person and relieves the accused from the burden of proving his innocence. "The essence of presumption of innocence is that the determining factor is the innocence of a person. Therefore, a person cannot be force to prove his innocence and the existence of circumstances precluding criminal liability," the Constitutional Court said. The duty to provide evidence of the guilt of a person, as well as the refutation of evidence of his innocence is placed on the prosecution. Whereas, in the opinion of the Constitutional Court, in Article 368-2 of the Criminal Code of Ukraine the burden of proving innocence is placed on the person himself, securing him the legal obligation to confirm with evidence of the legitimacy of the grounds for becoming the owner of the assets.